Enjoy an immersive audio experience with crystal clear audio and rich bass. Avantree Audition Headphones feature an enhanced Bluetooth connection, microphone for hands-free calling and NFC for greater freedom. Audio clarity and range, low lagging is great around the home and through some walls 15m away comfy to wear the foam ear pads seam to last. But my bugbear is the fragile micro connect to recharge the headset. Todate it has broken twice with normal wear and tear give a once a day plug in. I now leave the micro connector plugged in and wrap tape it around head set and just plug into an extention usb cable so only the the larger usb cable gets the wear and tear of insertions etc. I selected these headphones as I do not get on with earphones as the keep falling out. My requirement was that they should be wireless, have a good battery life, and have a cable connection for if the battery runs out. They are very comfortable to wear and sound great. Bought these for holidays especially on the plane. Sound cancelling and fit around my head and ears were well sealed. Good at lunch too I can finally get peace and quiet. 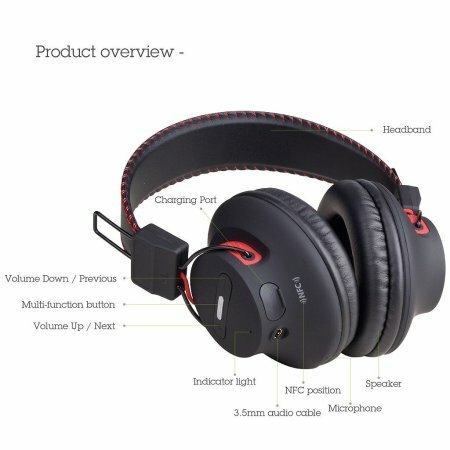 Build quality is excellent and price is comparable to more expensive items, all this and option of NFC and cable should battery run out then can be used as normal headphones. Great service and delivery on time as expected by Mobile Fun in past, not often items arrive on or before delivery dates. The Avantree Audition Bluetooth Stereo NFC Headphones feature advanced Bluetooth 4.0 technology, to ensure improved connectivity and easy pairing of mobile devices. With these Avantree Bluetooth Headphones, you can enjoy your favourite tracks and receive calls on your mobile. A stylish pair of black headphones with a soft-touch rubberised finish, lets you put them on and enjoy the freedom of movement, up to 10 metres as you listen to your music. 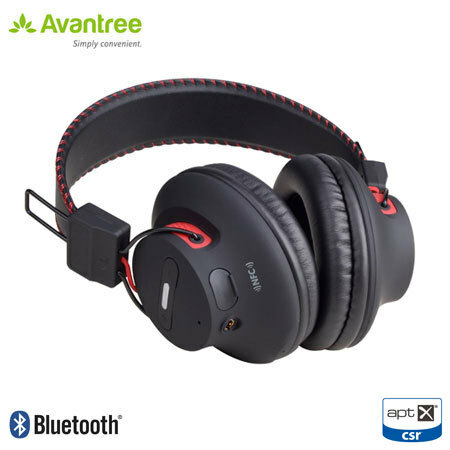 The Avantree Audition Headphones come with Bluetooth and built-in NFC (Near Field Communication), allowing them to be used with a huge range of mobile devices. 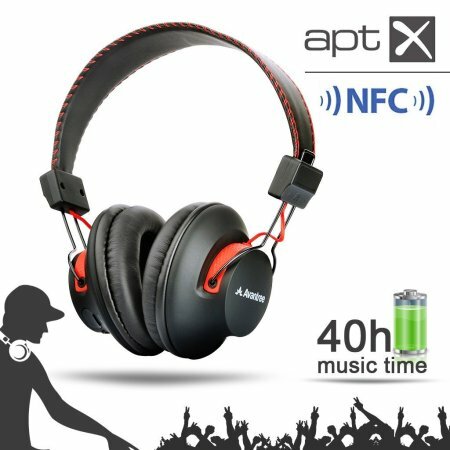 The NFC feature allows you to simply touch your NFC compatible device to your phone and the headphones will instantly turn on, connect or disconnect, it really is as easy as touching them together. Music can be streamed from your mobile and will seamlessly fade to a ringing alert when there is an incoming call - so you won't miss a call and you can pick up again with your music playback exactly where you left off. 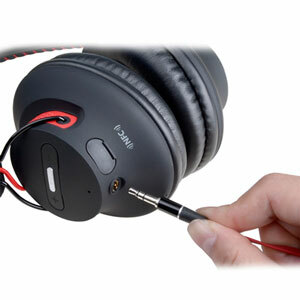 Included in the design of the headphones is a built-in microphone and call management buttons, found on the ear cup of the headphones. These allow you to use the headphones to take calls from your phone hands-free. Once paired with your phone, the headphones will mute the music and allow you to take the call seamlessly by pressing the answer button. Similarly, a 'call waiting' button is included to ignore incoming calls in favour of listening to streamed music. 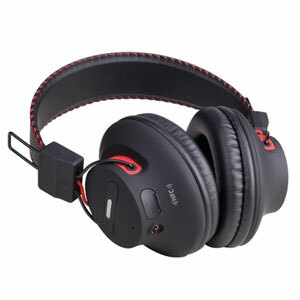 Additionally, the headphones can be used as wireless headsets for use with PC VOIP communication platforms such as Skype. 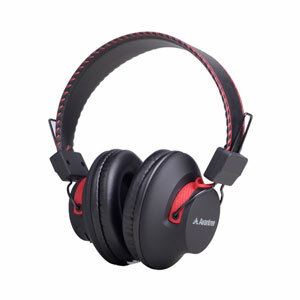 The Avantree Audition Bluetooth Stereo NFC Headphones have been designed to perfectly blend form and function. 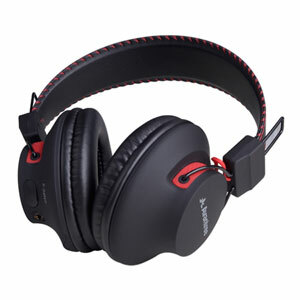 The design includes on-ear playback functions, which allow you to play/pause your favourite tracks as well as adjusting the volume for greater control of your music experience. The increased ear cup foam density of the Avantree headphones not only enhance user comfort, but the headphones' precise fitting also helps shut out external noise for extraordinary clarity and hard driving bass. The stylish headband is padded so that it provides a comfortable fit and can be easily adjusted to suit all head sizes. Designed with the aptX codec, the Avantree Audition Bluetooth Stereo NFC Headphones offers immersive stereo sound and superb audio quality. Additionally, the inclusion of digital sound enhancement and volume control mean that you can listen to your music distortion-free as loud as you could possibly enjoy. 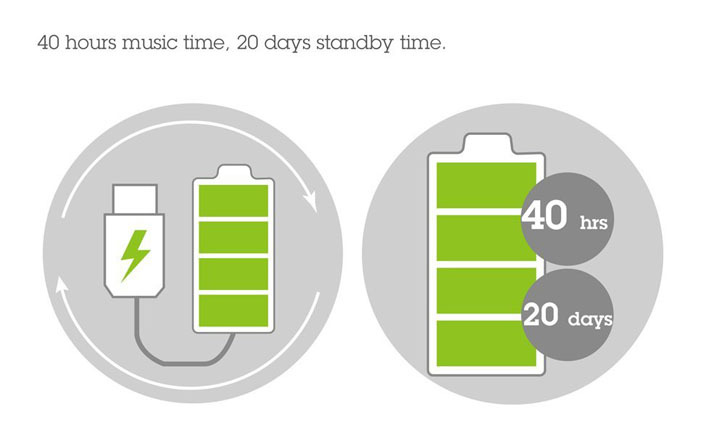 With an impressive battery life, the Avantree Audition Headphones will keep the music playing all night. Offering 40 hours of music playback and 20 days of standby time, the Audition Headphones are sure to be ready whenever and wherever the moment takes you. Don't just settle for one, connect to up to two devices with the Audition Headphones, allowing you to easily switch between devices. 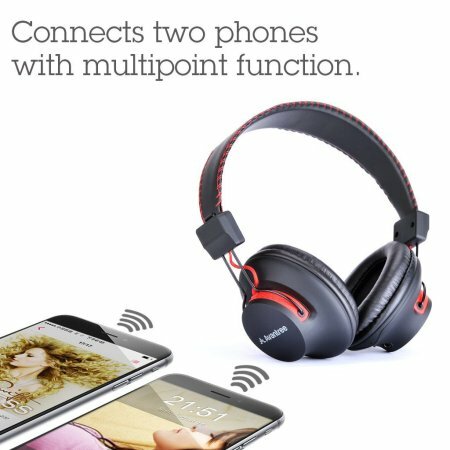 So whether you have a work and personal phone or you're listening to your mp3 player and your phone goes off, you'll never be out of the loop thanks to the multipoint technology in the Avantree Audition Headphones. 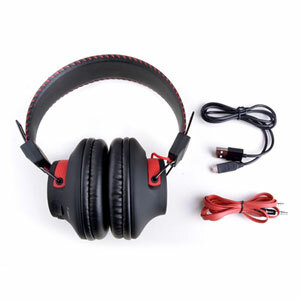 The headphones also come with a 3.5mm audio cable, which allows you to connect the headphones to your mobile device through a cable, allowing you to still listen to your music without pairing to your device through Bluetooth. It also means that the headphones are compatible with devices which feature a 3.5mm audio port and don't feature Bluetooth technology.